Charles W. Mulaney, Jr. focuses on mergers and acquisitions (friendly and hostile), corporate governance and corporate financings. He counsels clients on a broad range of securities and corporate matters, including disclosure issues, the duties of directors and shareholder activism. Mr. Mulaney represents special committees of directors in transactions and internal investigations. He also advises major investment banks on acquisition and financing matters and has represented issuers and underwriters in numerous public and private securities offerings. Waste Management, Inc. in its $14 billion merger with USA Waste Services Inc.
Mr. Mulaney has provided corporate and transactional advice to a number of companies, including Ball Corporation; Baxter International Inc.; Ecolab Inc.; J.C. Penney Company; Mead Johnson Nutrition Company; Navistar International Corporation; Northern Trust Corporation; Stryker Corporation; Wisconsin Energy Corporation; and various private corporations. He is a member of the Corporate and Securities Law Institute of Northwestern University School of Law and has lectured at institutes for public company directors at the business schools of the University of Chicago, Duke University and Northwestern University. He speaks frequently on mergers, acquisitions and corporate governance. 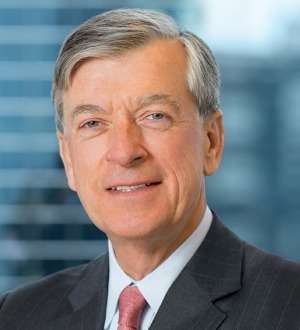 Mr. Mulaney was named Best Lawyers’ "2014 Chicago Corporate Governance Lawyer of the Year" and "2013 Chicago Mergers & Acquisitions Lawyer of the Year." He repeatedly has been listed in Chambers Global: The World’s Leading Lawyers for Business, Chambers USA: America’s Leading Lawyers for Business, The Best Lawyers in America, The International Who’s Who of Corporate Governance Lawyers and Crain’s Chicago’s Who’s Who list. Mr. Mulaney also was named a "Client Service All-Star" by The BTI Consulting Group in its 2014 Client Service All-Stars report.